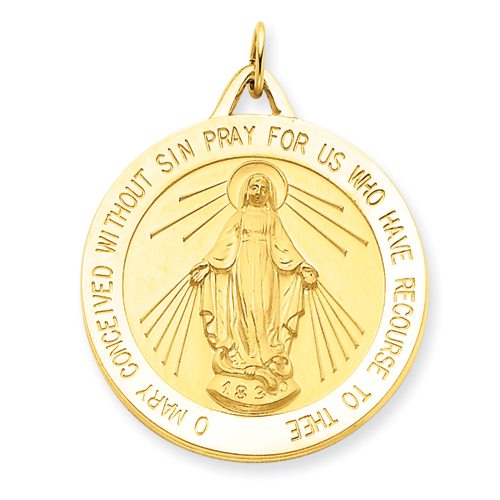 This large round miraculous medal is made of 14kt yellow gold. Item measures 1 1/8 inches round without loop and bail. Mary instructed St. Catherine Laboure of Paris to create and distribute miraculous medals in 1830.